A forg is at the bottom of a 78 meter well. he slips 2 meters backwards. How many days does it take him to escape from the well? Note : The frog escapes from the well once he climbs up a total of 78 meters. The frog takes 38 days to escape from the well. Considering 4m up and 2m down he climbs 2m per day and night. So it takes 37 days for him to climb 74m up the well. 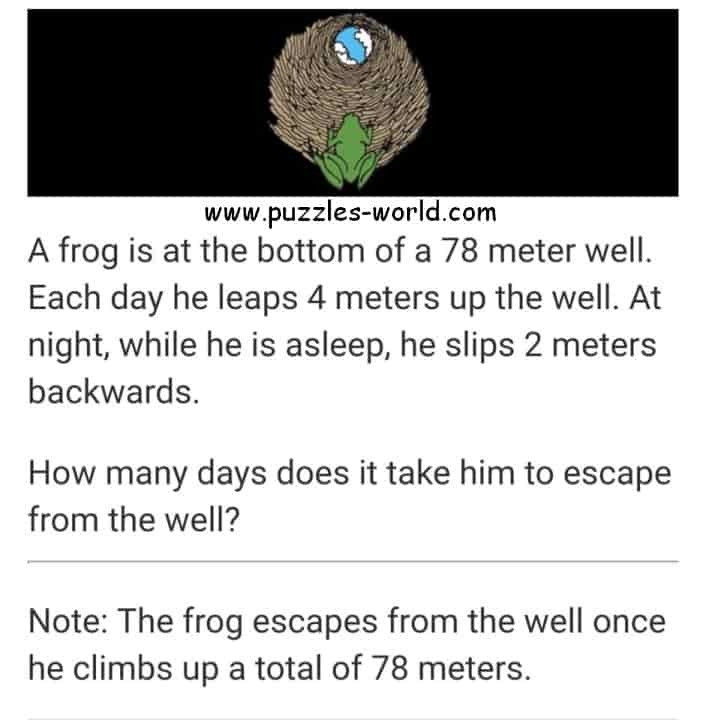 Hence on 38th day he climbs 4m and escapes the well as 74+4 = 78.